A perfect way to present a bottle of wine! 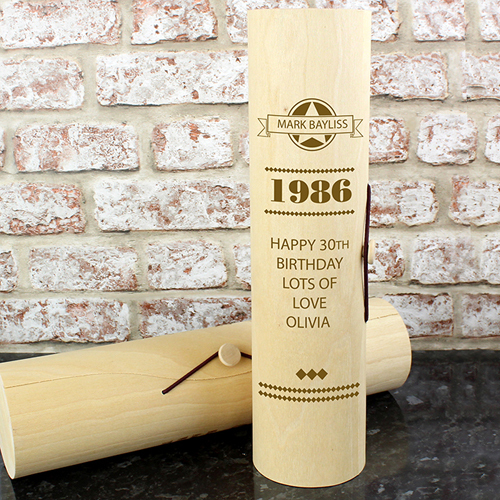 Personalise this Wooden Presentation Cylinder with a name up to 12 characters and a year or an age up to 4 characters. You can then add a further message below over 5 lines of text of up to 12 characters per line. Made from soft but sturdy pliable wood.